Stand Out From Your Online Competition | Rain Marketing + Consulting Inc. The online space is a competitive place and it is important to stand out from your competitors. What are some of the ways you can accomplish this? A simple choice is color. Have you ever noticed that the vast majority of legal websites are blue? We can discuss the nuances of color and the calming nature of the color blue and how that relates to prospective clients within the legal online space. Or, we can simply notice this and choose to be different – to stand out. One of the first conversations I have with clients focuses upon the unique characteristics that make them different from other attorneys practicing within that are of law in the local geography. I’m amazed at how often the original answer is “I can’t think of anything that really differentiates me.” In my years of experience this is never actually the case, and within minutes we are usually able to draw out several defining characteristics of the firm or attorney to attract the right clients. Many of my clients make use of industry recognition such as “Super Lawyer” or “AV Rated” or “Top 100″ or “Avvo Rated” to communicate their depth of experience and quality of skill to potential clients. Some are uncomfortable with accolades and don’t wish to come off in a pretentious way. There are ways to tastefully and effectively position these accomplishments in a way that highlights your skill and accomplishments. These should always be presented in a way that addresses what the award or designation means from the perspective of the client. 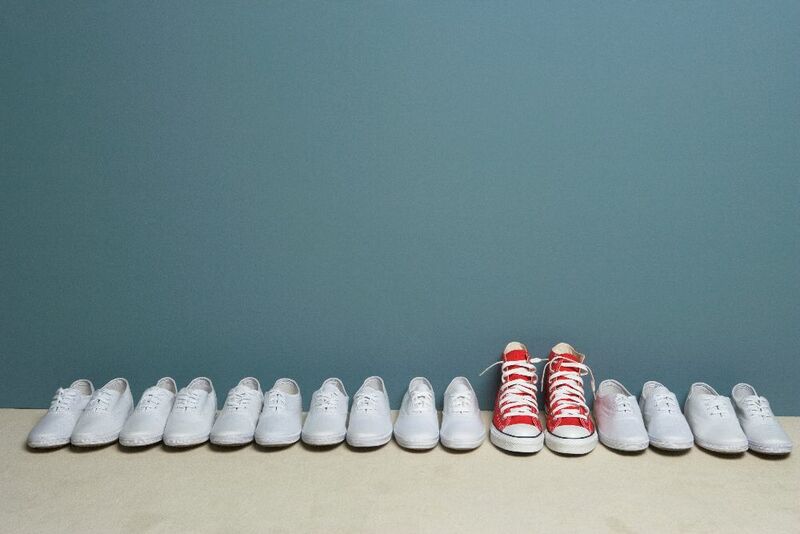 Another way to think of “standing out” is to understand that you will never be all things to all people. You want to stand out to prospective clients by projecting an image of who you genuinely are and what you will be like to work with. What are your interests? Where are you from originally and what schools did you attend? Our goal is to attract the right type of case and a client you will match up with your style and with who you will enjoy working (as well as a client who will pay their bill!). We have all had clients who were a challenge to work with from start to finish. Their style is different, or their expectations are out of bounds. The images and message we present helps to establish who you are, why they should consider you and what you will be like to work with.